Kulinski Memorials has been serving the local community with the same dedication to craftsmanship, quality and artistry for over 50 years. Kulinski Memorials is the successor to L.L. Manning & Son, Yawgers and Rosehill, using their combined expertise and experience to ensure your satisfaction. 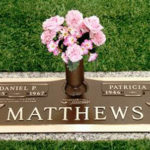 Because you know your loved ones best, we are eager to involve you in the creative process to ultimately design a memorial that reflects their life, passions, interests, and legacy appropriately. Kulinski Memorials is a group of talented, local craftsmen who are specially trained and certified. Unlike online retailers who employ the use of middlemen, we communicate with our customers directly in order to achieve a level of trust and satisfaction that these online memorial companies can not provide. We treat our customers with the highest level of professionalism, courtesy, and compassion. Your complete and lasting satisfaction is our promise. 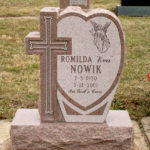 Together, we will achieve a tribute in stone that will preserve the dignity and memory of your family for eternity.